On 7th Jul, Blossom Seeds together with community partners and supporters such as Pioneer Generation Ambassadors, Gambas Befrienders, students from Canberra Secondary School and other volunteers from all walks of life joined us in our annual Vesak Goodie Bag distribution. 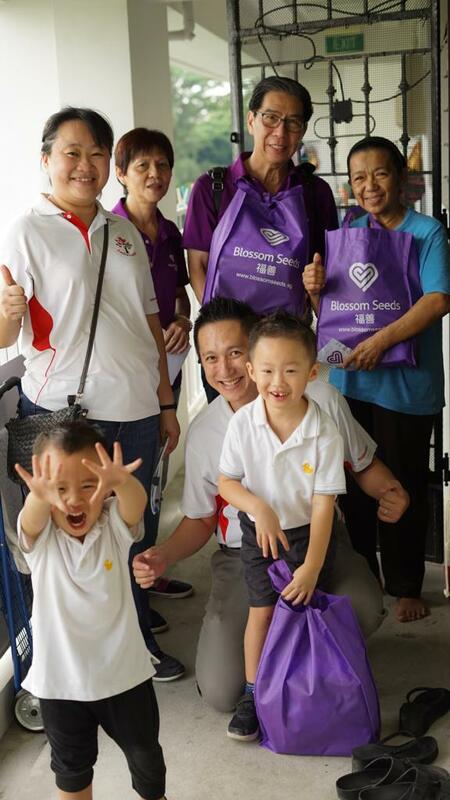 This year we focused on the community in the northern part of Singapore. 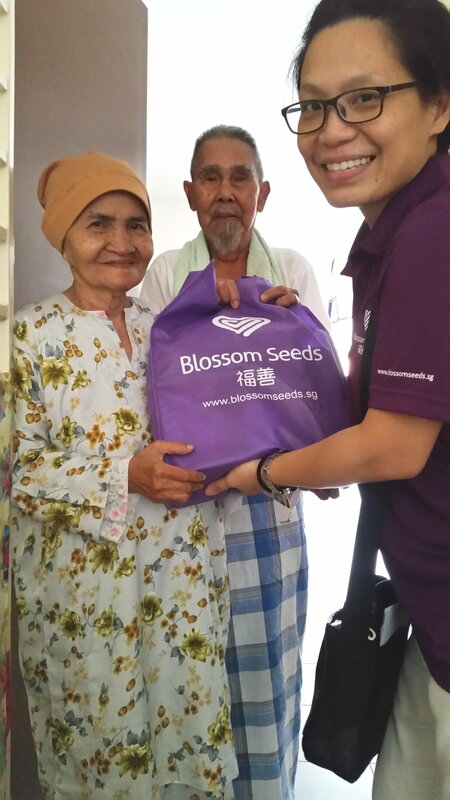 We visited needy elderly and seniors at Canberra, Admiralty, Woodlands and Wellington areas to distribute the goodie bags. Some time were also spent chit chatting with the elderly to understand more about their needs and interest areas. This would help us in the planning of suitable programs for the elderly community when our Senior Active Centre is ready. After about 3 hours of distribution with more than 50 volunteers and staff, we wrap up the whole activity with a simple buffet lunch amidst a hot but meaningful Saturday afternoon.